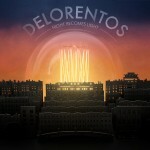 Delorentos » Night Becomes Light Album & Tour! Night Becomes Light Album & Tour! Night Becomes Light: Released on October 10th! It’s also time to get your tickets for the Autumn tour! New Album: Night Becomes Light -October 10th! Vicar St & Night Becomes Light Tour!